Nychos’ grandfather passed away while he was participating at POW! WOW! 2013. Being halfway across the world, he couldn’t make it home in time to see him. This is a memorial mural for his late grandfather, Johann Schuller. His goodbye and thank you for an important person in his life. 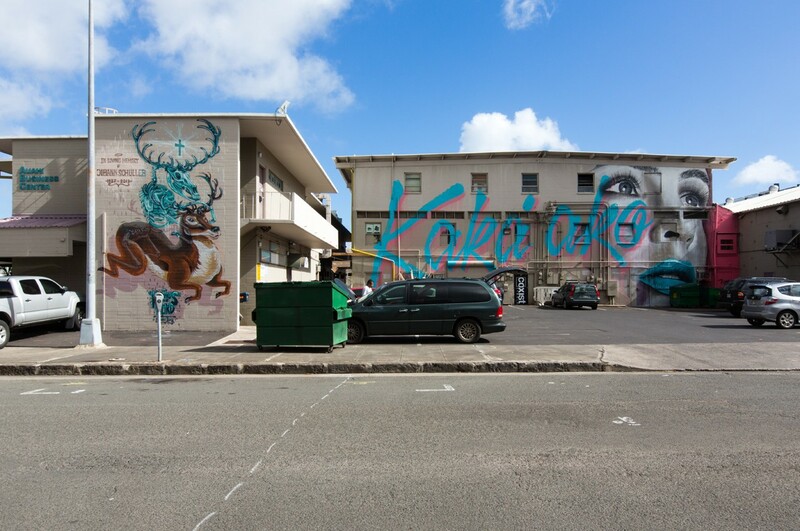 The mural is located on Keawe and Auahi street.